Two years ago, we attended our first ever ‘Økodag’ in Denmark- otherwise known as ‘Dancing Cow Day’. Or if you like, a ‘Moo fest’. But whatever you call it, just make sure you circle Sunday the 14th of April 2019 in your diaries right now, because it’s huuuuuuuge. And fun. 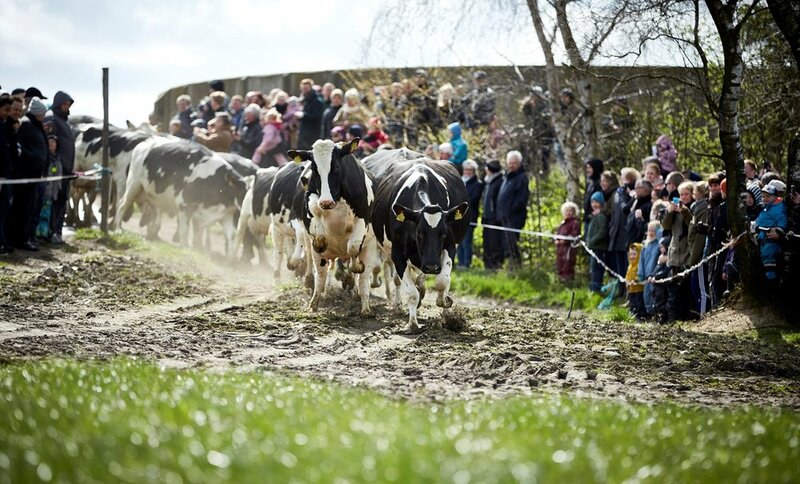 Økodag roughly translates to ‘organic day’ and is the day on which all the organic cows of Denmark are released from their indoor barns into the open paddocks. If you live in Denmark and have also just survived the long winter, you can probably imagine the cows excitement as it being not too dissimiliar to your own when you see Spring arrive. Each year around 230,000 people visit one of the designated farms throughout the country who open their gates to the public. To find a farm close to you head to the official website at https://økodag.dk/ where you’ll find a list of farms that are participating. The website is only in Danish unfortunately, but if you click ‘Find en gård nær dig’ (Find a farm near you) and enter your postcode you’ll be able to work out the rest. The organisers describe it as ‘a fun and cozy day’. It’s a day perfectly suited for Denmark given they purchase the world’s highest percentage of eco products, including one third of milk sales. On the day, as well as watching the cows be released at 12 noon, there is typically a range of other activities for you to amuse yourself with (especially the little people). And a whole lot of milk products are given away. 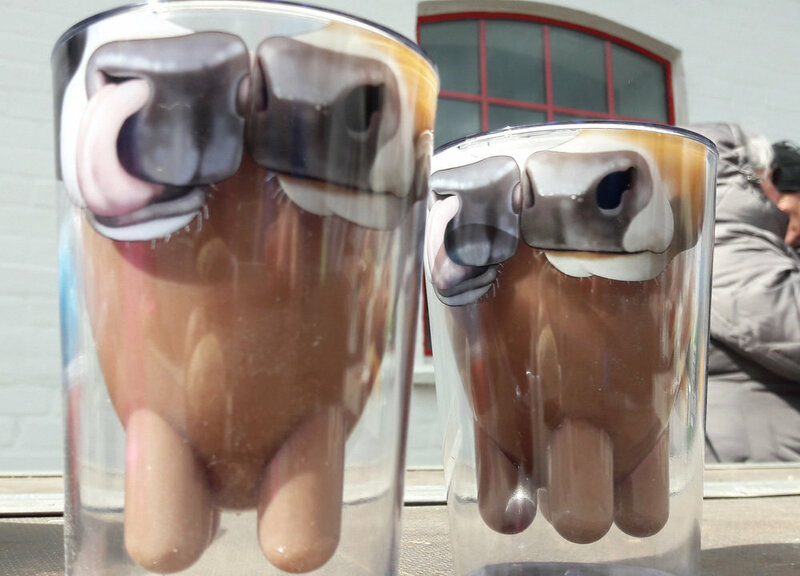 Think ice-cream, yoghurt, cheese and my personal favourite…novelty milk cups (above). Beautiful, don’t you think? I can tell you’re just a little bit jealous and also want this glorious set of milk cups in your cupboards. Where: Various farms around Denmark. Search for one close to you on their website at https://økodag.dk/ click on ‘Find en gård nær dig’ (Find a farm near you). Tickets: No tickets required. It’s a free event. But I highly recommend you arrive early as parking will be BUSY!